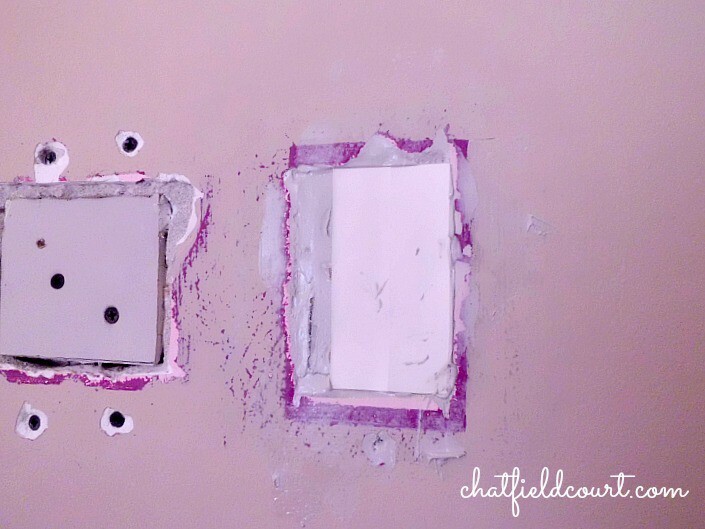 Last week I posted about how my husband moved an electrical outlet during the guest bedroom redo. 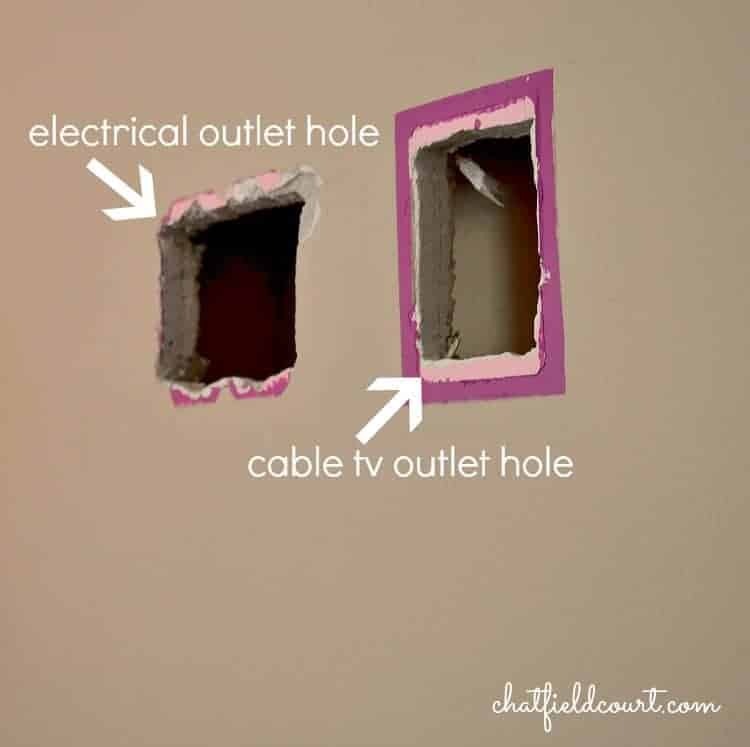 After he moved the outlet from the middle of the wall to near the bottom of the wall, we were left with a very large hole that needed to be patched. There was also a hole a few inches away that needed to be fixed (we think that this was from the tv cable that the previous owners had used). I love to see what other owners have painted on their walls, and this house has some crazy colors lurking under the wall plates. He ended up using 2 pieces in the larger hole and 1 piece in the small hole. 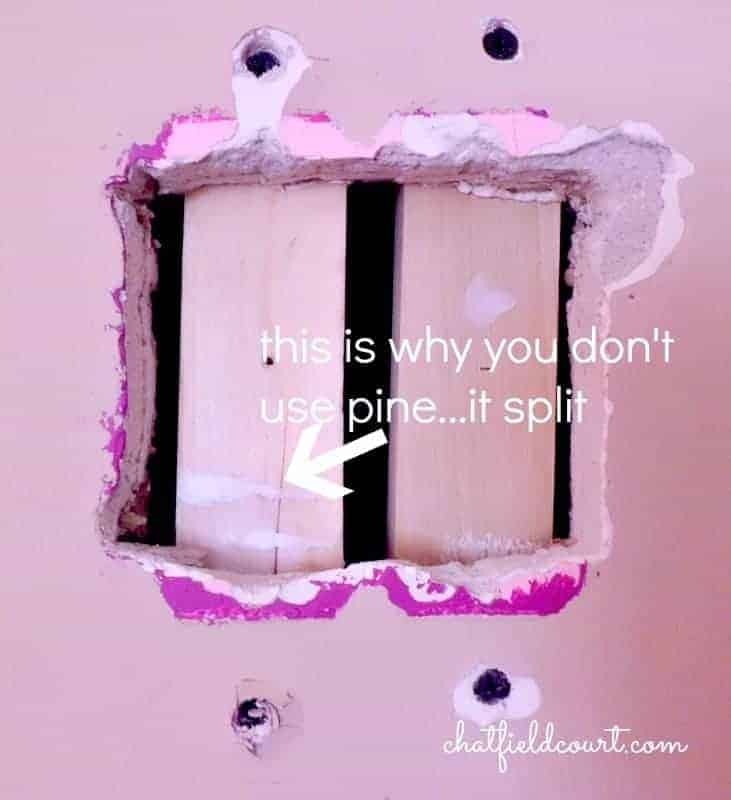 Make sure you drill some pilot holes to help prevent the wood from splitting, and remember that pilot holes should be smaller than the screws you are using. Now it was time for sheetrock. Since we didn’t need a lot of it, we just bought a 2 ‘x 2’ piece at Home Depot. A small piece was cut from that and was fit into each hole. 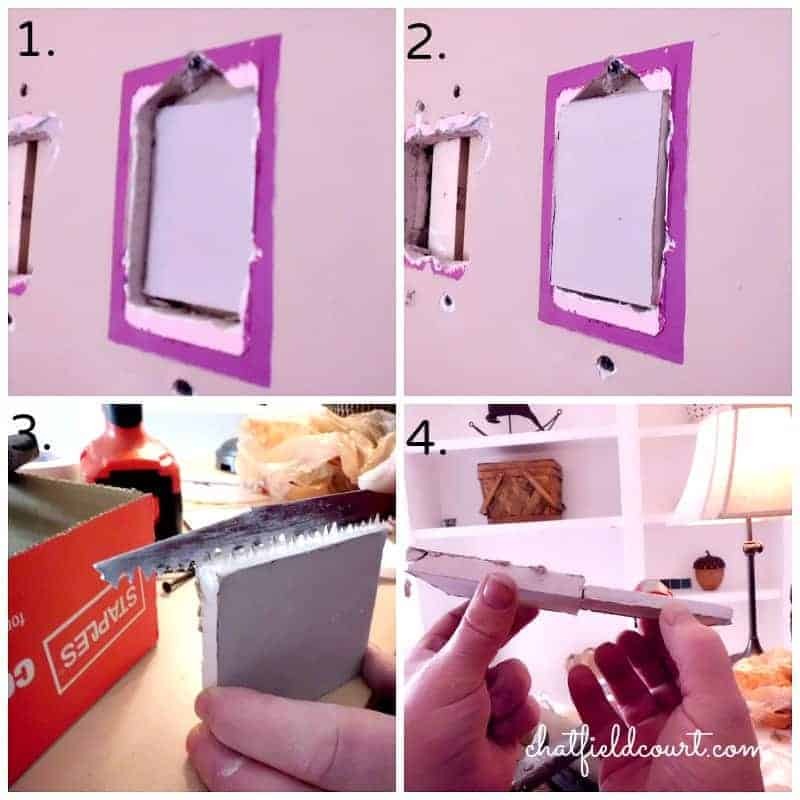 You want to make sure that the patch piece of sheetrock sits just below the surface of the wall, so that you can tape and spackle it and have a smooth, even surface. We have double sheetrocked walls so we had to layer the patch with 2 pieces of sheetrock, which ended up being too thick. Mr. C² (Chatfield Court) had to shave it down so it would be recessed from the wall. He then used some caulk to glue it in and also used sheetrock screws to secure it (pilot holes are recommended here too). Tape and joint compound are next (because these are big holes, you want to use joint compound instead of spackle). Before Mr. C² applied the tape, he notched the edge of the hole about 1/8 inch so that the tape would sit lower than the original wall, thus giving us a smooth transition. We could have used either fiberglass mesh tape and old school paper tape but my husband likes using the paper tape best so that’s what we used. 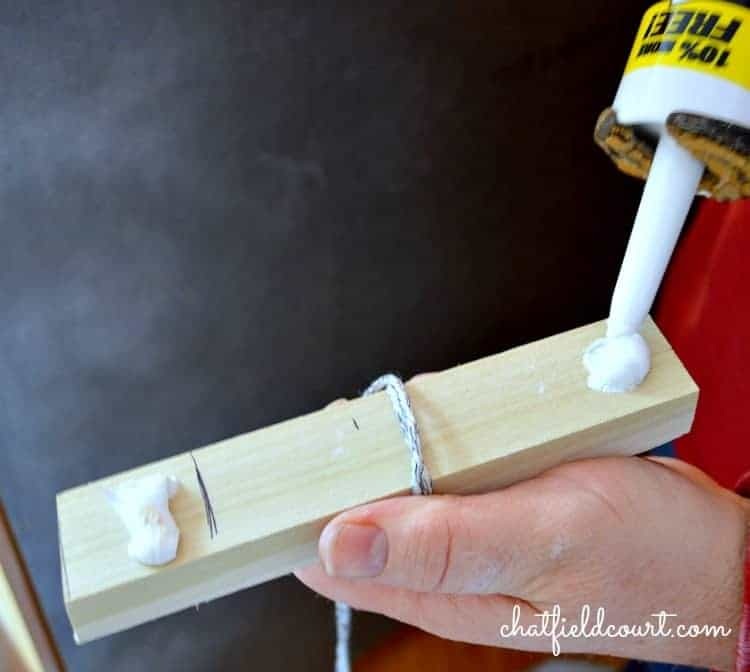 Put a thin coat of joint compound over your hole and then lay a piece of paper tape over the wet joint compound so that it covers the edges of the hole. Then put another thin coat over the paper tape. At this point your hole is still going to be recessed from the wall, that’s what you want so it’s ok. Let the joint compound dry overnight. Using a medium grit sandpaper, lightly sand the patch when dry to knock down any high spots and then add another thin coat of joint compound. Always let it dry thoroughly between coats and remember that it’s better to do multiple thin coats of spackle than to put a thick coat on. You want to sand and spackle until you have a smooth and even finish. This is really an easy job to do. It just takes a little time for the spackle to dry in between coats. 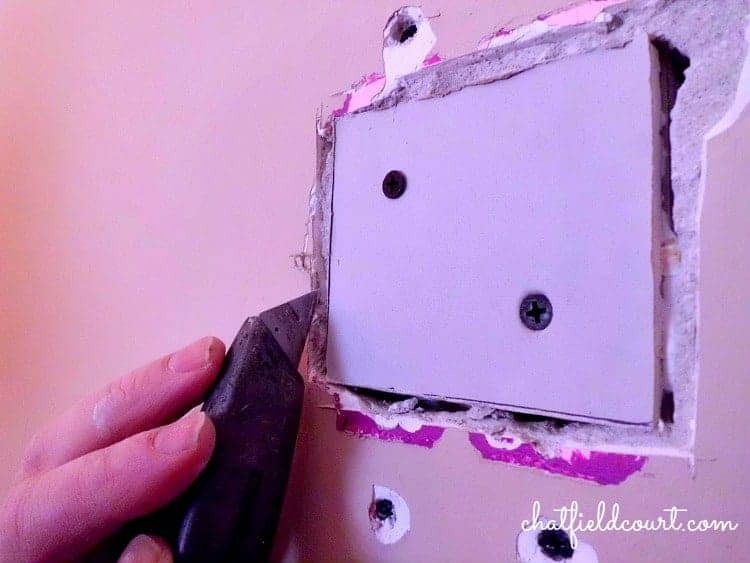 Do you have any tips or tricks to getting a smooth surface when spackling? Previous Post: « Sunny Florida! My tip is to not use the stuff that changes color, it’s really thick. I prefer the white DAP Spackling Paste. Also, they have a small square metal plate topped with drywall tape for a quick kit. It doesn’t cover large areas but works pretty well for a door knob or electrical outlet sized space. 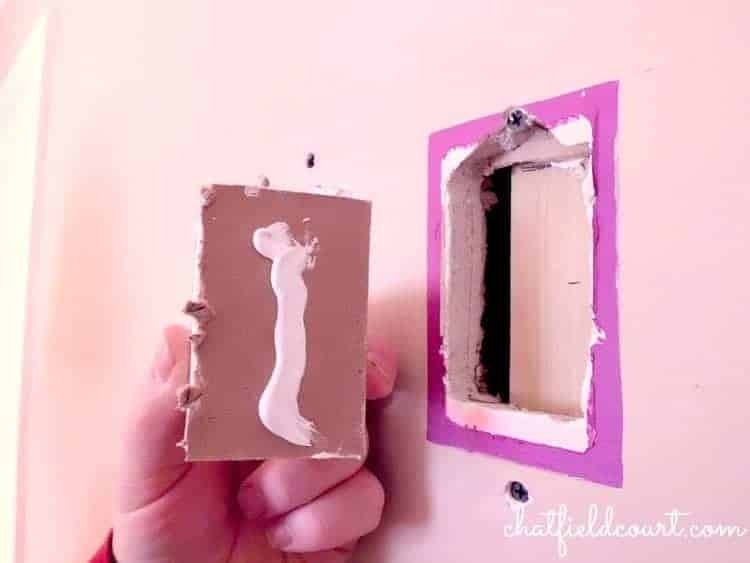 You just slap it on your hole and smooth out the tap and then apply a thin coat of spackling to it. After it dries you sand and then keep doing the sand/layer step until it’s smooth. Thanks for the great tip Brooke. I agree about the spackle that changes color. My husband and I don’t like the way it sands when we use it. We prefer to use Sheetrock Brand All Purpose Joint Compound. I never heard of the kit to fix a hole in the wall. It sounds interesting. I’ll have to check one out the next time I go to the home improvement store. Thanks so much for stopping by. This is a really informative post. 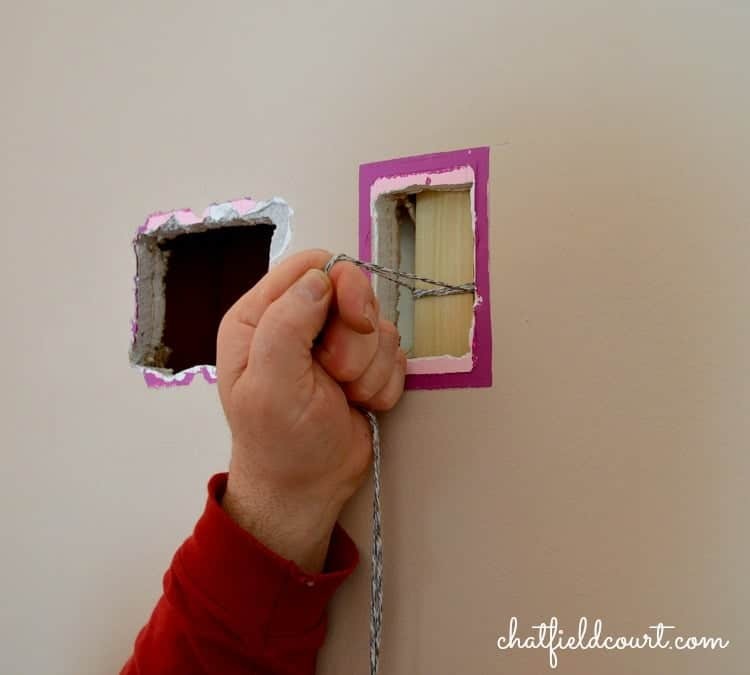 My husband is very handy so I know that sheetrock can be a little bit of a challenge sometimes because of the drying and sanding time involved. Found your blog through Savvy Southern Style. Hi Alicia. So glad you found me through Savvy Southern Style. Fixing holes in sheetrock definitely takes some time. Thanks so much for visiting. I LOVE you! I was just looking at the holes in the walls left from the annoying alarm system and wondering HOW to repair it! I also have holes in my upstairs bathroom from my dogs! I feel so empowered! LOL! Awww, thanks so much Andie! I’m glad that you were able to get some empowerment from my post. Now you can fix your walls. LOL You can do it! This is very helpful info, thanks! Pinning to come back to when I have to do this! Your husband is so handy. What an excellent tutorial. It is reminding me of some patching I need to do around my home. No holes, though…just a few cracks. Thanks Linda. I’m not very good at spackling holes or cracks so I’m glad that he tackled this one. I don’t know what I would do without him. 🙂 Thanks for stopping by. Hi, found your blog thru Cozy Little House’s Welcome Wagon Fridays (from last week). I’ve been reading through the archives and you’ve done a lot in a short amount of time. We moved into our “fixer” almost 3 months ago and dealing with a lot of the same issues you are. Our house wasn’t a foreclosure, just neglected beyond belief! We have to move an electrical outlet in the bathroom (which someone installed above the tub!). 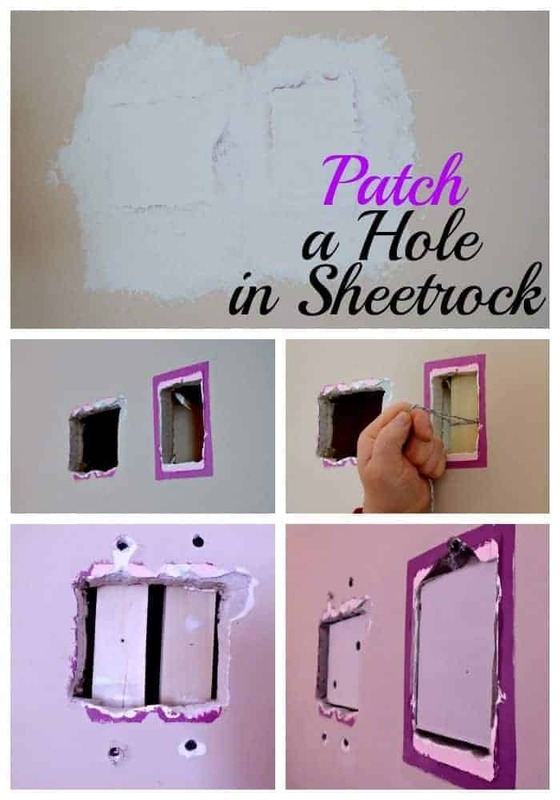 I was wondering how I was going to patch such a large hole so I’m glad you posted how to do it. I’ve only ever used the mesh with smaller holes. This weekend I’ll be continuing on with the updating of our 65 yr old kitchen. It’s taking so long and yet I still have so much to do. Hi Shirlee. Welcome and it’s so nice of you to visit from Cozy Little House. Fixing up an older home can be tough, can’t it? It feels like there is always something else to do. I can’t believe that there was an outlet above the tub…yikes!!! Good luck with your kitchen. I have yet to tackle mine and I am getting nervous about all the things that need to be done.